Closeouts. Tough jobs call for tough leather gloves. 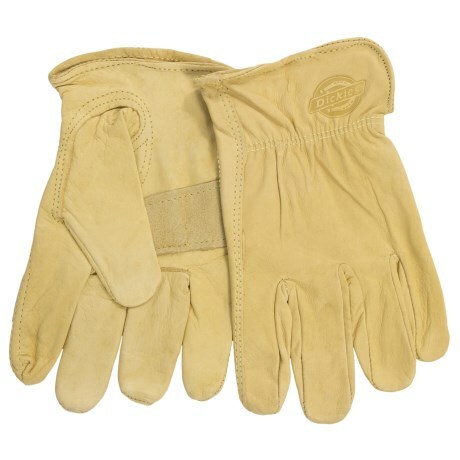 Slip on these Dickies Saddle Cowhide Drivers gloves, and your hands will be protected by the full-grain cowhide, masterfully enhanced with a leather palm patch and flexible keystone thumb construction.